This light string is for Christmas trees and is draped down from the top hanging from a tree angel or other ornament. It saves time from untangling regular string of lights and then worry about wrapping them around and around the tree. 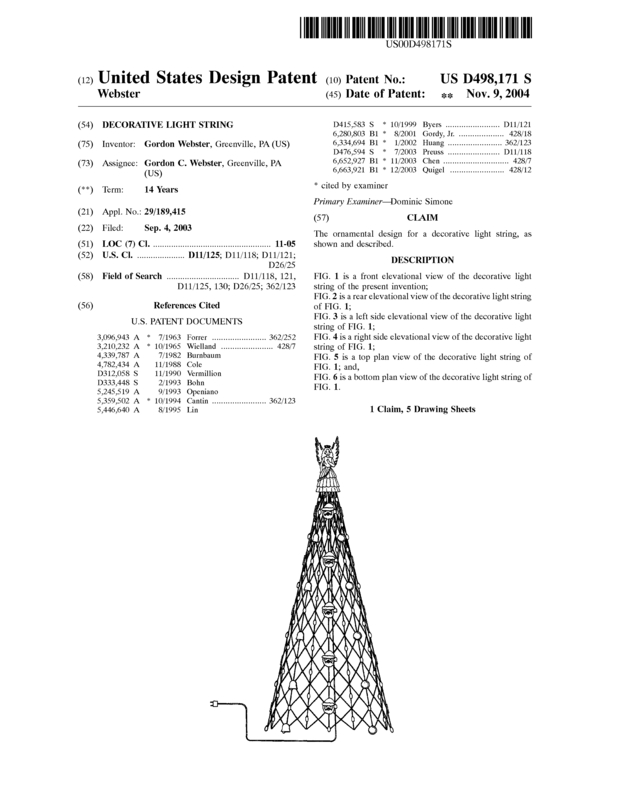 I am looking to sell my patent either outright or with royalties or as a partnership. This is all new to me and I am actually looking for someone to make a model for people to see and get an idea of what the string of lights actually looks like put together. The potential could be huge here in the states or overseas. Page created at 2019-04-22 14:27:52, Patent Auction Time.